The latest White House 2012 analysis of polls, conditions, and circumstances in individual states projects a slightly smaller Electoral College vote total for Governor Mitt Romney than he had last week, but Romney still remains above the magic number of 270, that he needs to win in the Electoral College. This week, WH12 has seen the battleground states of Iowa and Nevada taken out of Romney’s column and designated as toss-up states. This switch has taken away 12 electoral votes from the Romney-Ryan ticket and brought them from last week’s total of 291 electoral votes , to 279 electoral votes this week. But as Mitt Romney sees 12 votes go from him to the undecided column, President Obama sees his previous Electoral College projection decrease by 10 votes as WH12 now takes Wisconsin out of the President’s column and classifies it as a toss-up state. So President Obama now finds his Electoral College vote drop from 247 last week, to 237 this week. But the big story here ends up not being the new numbers projected in White House 2012’s analysis. The real story here is the increasing importance that these numbers places on New Hampshire, Nevada, Iowa, and probably most of all… Wisconsin. Based upon WH12’s current level of confidence in Mitt Romney having solid leads in all his base states* and strong leads in the once very competitive states of Colorado, Florida, North Carolina, and Virginia, combined with our increasing confidence in Romney’s ability to at least squeak out a win in Ohio, what we find ourselves with here is a race that really hinges upon Romney’s need to win any combination of New Hampshire, Nevada, Iowa, and or Wisconsin. With former toss-up states like Colorado, Virginia, and Florida projected to be solidly behind Romney, as seen in the map below, all the Romney-Ryan tickets needs to secure victory is Ohio. With Romney’s base states, and locks on the battleground states of Colorado, Florida, North Carolina,and Virginia, if Romney can squeak by in Ohio, he can lose New Hampshire, Nevada, Iowa, and Wisconsin and still win with 5 more electoral votes than he needs to secure the presidency. 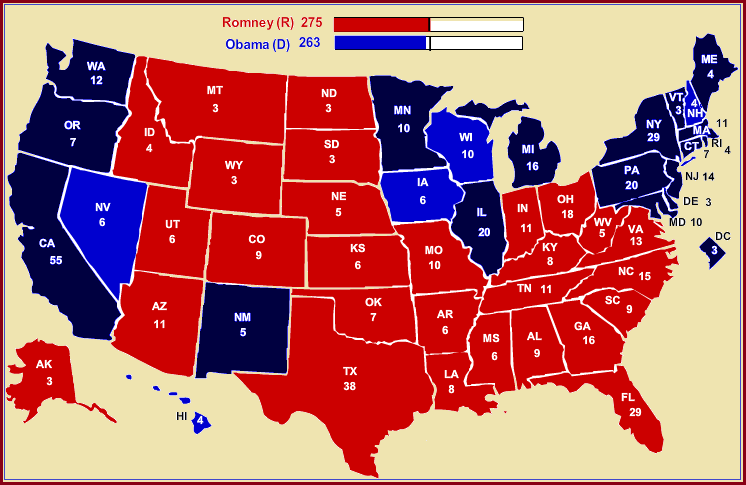 That would produce an electoral vote of 275 for Romney, to 263 for President Obama. But Ohio is too close for comfort for Romney to count on. 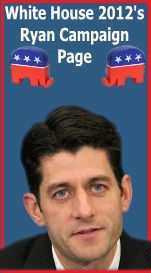 So the Romney-Ryan ticket must secure an optional path to victory to rely upon. 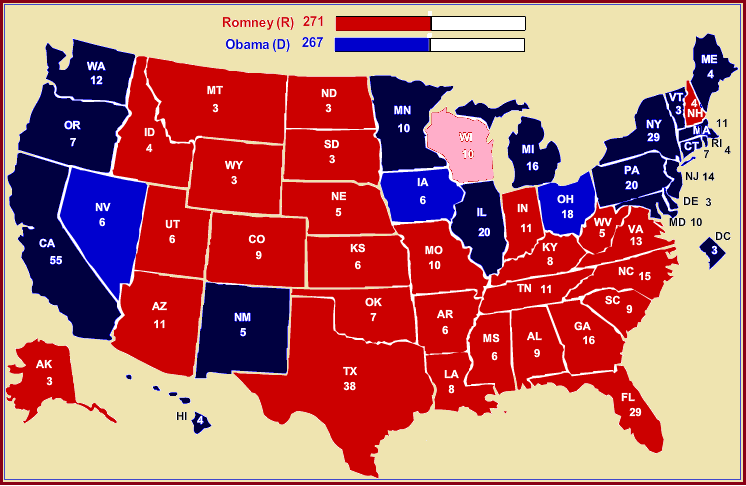 Based upon the current projection which gives Romney the battlegrounds of Colorado, Florida, North Carolina, Virginia, and New Hampshire, , if President Obama wins Ohio, the only state that Romney needs is Wisconsin. 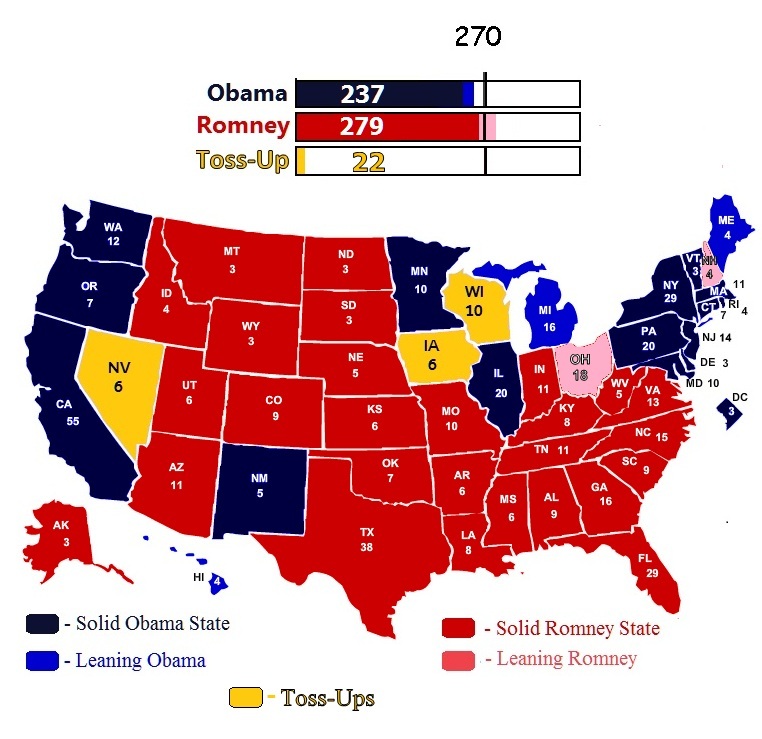 In that scenario, even if the Obama-Biden ticket won the remaining battleground states of Iowa and Nevada, Mitt would still win in the Electoral College with 271 electoral votes to Obama’s 267 electoral votes. Without Ohio, this New Hampshire plus Wisconsin combination to victory for Romney is currently the best and most logical strategy to pursue. In New Hampshire, the Romney-Ryan ticket is behind Obama-Biden by only approximately 1%. That is well below the 2.2% margin of error that WH12’s projection formula adds to Romney’s numbers in an attempt to compensate for the erroneous turnout models that pollsters are using in their polls. So by WH12’s standard, Romney is actually ahead of President Obama in New Hampshire by approximately 1.2%. Then there is Wisconsin. While Real Clear Politics has Obama ahead of Romney by approximately 2.8% in Wisconsin according to White House 2012 that is only a .06% lead for the President. It is a lead so small that that it could easily by overcome. Especially if its favorite son, Republican vice presidential nominee Paul Ryan, focusses on Wisconsin during this last two weeks of the election. That is a point White House 2012 made last week in a post entitled “Checkmating Obama with Wisconsin: A Romney Win in the Badger State Dooms Obama“. Furthermore, Ryan’s focus on Wisconsin could also produce an overflow effect that impacts the close contest in Iowa which borders Wisconsin and possibly provide the margin of victory for the G.O.P. ticket there. What this all means is that if projections that give Romney his base states and the critical battlegrounds of Colorado, Florida, North Carolina, and Virginia, but he losses Ohio, the Romney-Ryan ticket can still win the election if they take Wisconsin and either New Hampshire, Iowa, or Nevada. But under this situation, if Romney does not win Wisconsin, Romney would have to win all three states of New Hampshire, Iowa, and Nevada. So it becomes clear to us that while several states remain quite important in this election, if Mitt Romney’s momentum continues to hold, Wisconsin and New Hampshire may be the states that offer him the best assurance of a victory in the Electoral College. Especially if Ohio remains as tight as it currently is and goes down to the wire as a state so close that its results might not be known until days or even weeks after they are litigated in the courts. However, the outcome of such litigation would be meaningless if Romney can put New Hampshire and Wisconsin safely in his final Electoral College vote total. In the meantime, while White House 2012’s current projection classifies 22 electoral votes as toss-ups, no matter which way they ultimately go, the most Barack Obama could get is 259 electoral votes. That would leave and Romney with at least 20 more electoral votes than Obama and nine more than Romney needs to win in the Electoral College. Meanwhile, if Barack Obama fails to curtail the Romentum that we currently see, it won’t be long before White House 2012 finds itself issuing the very best but still realistic projected outcome that Mitt Romney could see. That projection may end up with a far more lopsided Electoral College than anyone is expecting. As seen in the map below, existing trends may soon establish a projection that looks like th e map below. It’s a Romney led Electoral College result of of 302 electoral votes to 236 electoral votes. Right now, that is the best case scenario for Romney but if current trends to continue, it is the result we are most likely to see. 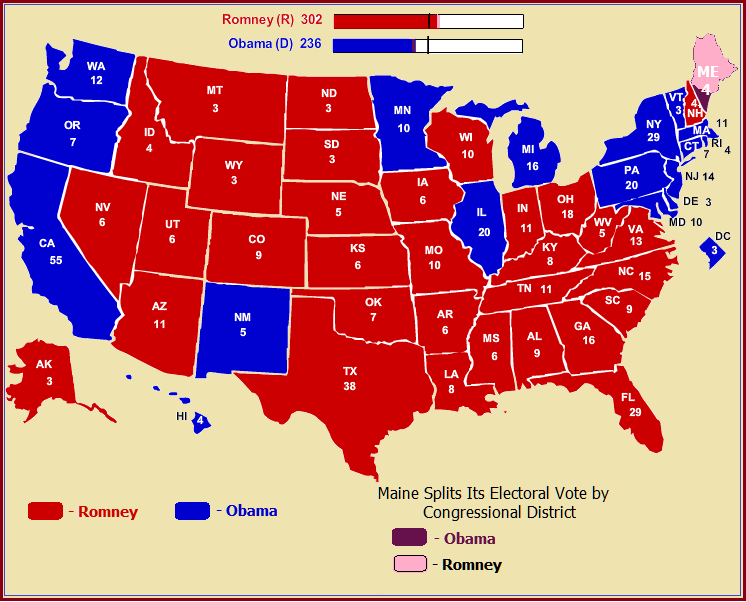 It is also a result that would include something new… the splitting of Maine’s electoral vote between Romney and Obama. Maine, like Nebraska splits their electoral vote between their congressional districts. 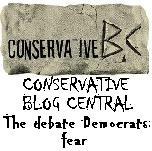 Some recent polling has shown that in Maine’s second congressional district, Romney was leading Obama 49 to 44%. If that holds up, it would be the first time Maine ever actually split it’s electoral vote. And it would also give Romney at least 1 electoral vote from a region of the country that Romney has been all but written off in. In what is sure to be a tough fought election full of scathing rhetoric, none has been more apparent in the last year then the class warfare being perpetrated for the most part by those on the left. “Democrat’s represent the little guy. Democrat’s support the poor and downtrodden. Democrat’s are ‘one of you'”. Basic political rhetoric that most often comes from those on the left. Especially when their fiscal record is as bad as it appears it will be heading in to the 2012 elections. They sure can’t run on the record but what they can do, and do effectively, is pit American’s against each other as they head to the ballot box using the ‘evil rich Republican’ vs. the ‘poor and middle class Democrat’ argument. An argument which I am about to prove false. So, if the Republican’s support the rich and Democrats support the poor why is it that the richest states vote Democrat and the poorest vote Republican? Because that’s what false data and rhetoric does. It attempts to paint a picture that isn’t always a fair and accurate one. Some politicians believe that if you repeat a lie enough it becomes the truth. That appears to be the case in regards to the class warfare being perpetrated as we head into November. The problem is as long as this false information has been perpetrated it apparently hasn’t weighed on the opinions of the classes who are supposed to be ‘at war’. The poorest states still vote Republican and the richest states still vote Democrat. Don’t tell anyone. We don’t want the Democrats to have to change the perception they believe they have built over decades. We will simply just hope that they don’t notice the rich and poor aren’t listening. Too true to be funny anymore? Is this the spirit behind the president’s announcement of an immediate end to the deportation of illegal immigrants who came to the US as children? Obama thinks so, saying this is “the right thing to do,” just like everything else he decides. First, Obama speaks objective truth which he then feels pragmatically he has to contradict. Did the law change since? The jurisprudence? Of course, stupid me, last year was not election year. This year, Obama is naturally addressing a key Latino concern….in an election year. The plan goes into effect immediately, affecting some 800,000 people, without discussion. He hath spoken, it is done. Justification? Speaking at the White House, Obama said the initiative was “the right thing to do,” adding that “it makes no sense to expel talented young people” from the US. Is it me, cynicism, or are we really to believe there are 800,000 talented people out there, surely some of them are duds? Maybe the real story is the sense of visible shock when the President was interrupted by a Daily Caller reporter during his announcement. How dare anyone interrupt, that’s, well that’s like someone interrupting a monarch, just not done! The reporter ought to be expelled from the country! Finally, he sets himself up as a savior, but watch out for those “sell by “ dates folks! be under 30 years old. If successful, applicants would receive a work permit for two years that can (note my italics) be renewed an unlimited number of times. In other words, they’re safe until after the election and the end of Obama’s long-running campaign for office and re-election. More of this please, Governor! Everything is fine, time to put your feet up Mr President! The private sector is doing fine apparently. This is at least according to President Barack Obama. I guess the 23 million Americans who are either unemployed, underemployed or have given up searching for work are suitably reassured. Not to worry, four more years! Yes folks, four more years out of work if this administration gets another victory in November. Of course, President Obama later clarified things for reporters, and the rest of us stupid people, “the economy is not doing fine.” Then White House Press Secretary Jay Carney told reporters they should know better than to miss the broader point Obama was making. Oh what stupid people, why did they not realize the president intended that public sector job cuts are hurting the economy. Carney crowed “You all ought to do your jobs and report on context…We’re for truthful, factual, accurate reporting done in context.” Oh, yeah, right. Perhaps the president and Mr. Carney can explain why the Federal Reserve felt compelled to report the median net worth of families plummeted by 39 percent in the three years of the Obama Era of Salvation. Well, they didn’t say that exactly. They said the numbers, I added the editorial gloss. The figures speak for themselves though: a fall from $126,400 in 2007 to $77,300 in 2010. That puts Americans back where they were in 1992. A famous Philosophy discussion on observation and knowledge of reality centers on the question, “If a tree falls in a forest and no one is around to hear it, does it make a sound?” I believe the same can be asked of the relationship between Obama’s errors and the liberal media…the noise is definitely made but they don’t seem to be around to hear it. The only thing that will be fine is a change in the White House. Of course, Barack Obama will not be made unemployed, he has a new career trajectory to follow of more books, speaking tours and all the perks of being ex-president. This election is about the economy, and we’re not the stupid ones. 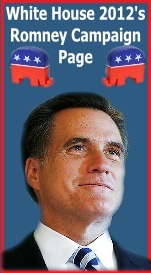 3 things Romney needs to get Right, and so far he only has 1 of them. Romney Looks the Part, but does he have the ideas in place yet? To win in November, Mitt Romney has to get three things right. First, he has to be a positive physical presence, showing Americans what an optimistic American face looks like. Second, he needs to show how the American Mind works to solve problems. Third, he must win over the undecideds and the Blue Dog Democrats. He achieves the first with some ease. He does look like a president, and although a little stiff and awkward at times, he has a smile and positive outlook that is very American. 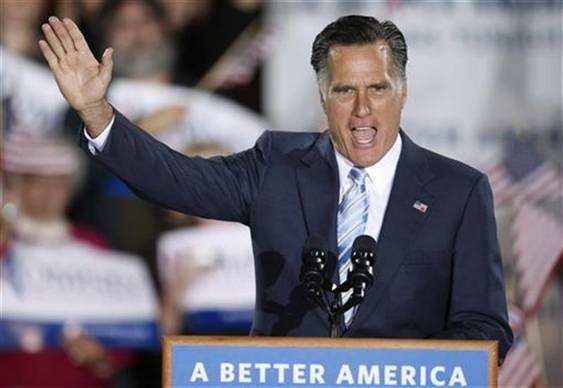 Unlike his dour and aloof opponent, Governor Romney shows hope in his physical presence which America badly needs in its leader. Why? Because the one thing that all nations need right now, not just America, is a positive and can-do Capitalist attitude to lift us out of this recession. 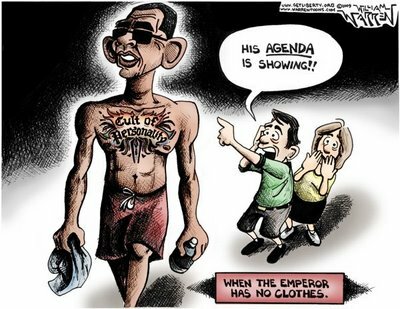 Back in 2007, at this time, candidate Obama was painting the economy in apocalyptic terms, because he was going to arrive on wings, lifted by adulation, to solve the nation’s, and the world’s, woes. Don’t just take my word for it, even Hilary Clinton was saying as much. Also back in 2007, the economy was in a punishing mood. We were living in a bubble that was only amazing in the sense that it took so long to burst. Living off too much debt and leverage, which are not bad things in themselves when used wisely, the spirit was a “can’t do” attitude. The basics of economic life were consigned to the trash, and individuals, companies and government contrived to live as if the economy can’t fail and we can’t be bothered to work to produce real wealth. Hence, the misery that followed. Hence, the big disappointment that became President Barack Obama. Hence, the constant concern on the president’s face, disguising a man out of his depth. So, we need a can-do president, who believes there is enough of the American dream to fuel a new era of economic growth; which brings me to the second thing. Rooted in the American dream, Romney needs ideas that get the people energized. At a time when Capitalism is under stress, the battle of ideas has to be won. Folks need to see what the future can look like under Capitalism, not holed up in OWS enclaves or rallying against the rich. No-one complained about the rich when the economy was going up; why pin all the blame on them when it goes down? Unlike Europe, Capitalism has been the engine of America from the beginning. It is inseparable from the enlightenment and religious ideas which formed the nation. Capitalism is not just a theory. It is a realistic, though like humanity itself imperfect, instrument for managing the needs and wants of a people. Romney needs to go beyond trotting out the same ideas of small government and tax cuts, and all those things, because they are ideas that are not just familiar, they are falling on barren soil. Romney needs to shape these old ideas – and bring in some new ones – to show a recession weary nation why there is reason to hope. This is not the hope that was on the way for John Edwards, nor the hollowed hope of the Obama presidency. It is not even a hope in a Romney administration. 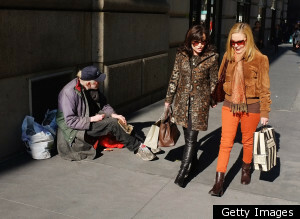 It has to be a hope in Capitalism and a hope in the nation itself, in other words a hope in America. So, the third thing falls into place if the first two are achieved. If Romney can capture the imagination, rooted in a realistic vision about the nation’s economic needs and other policy options, then he will reach out to those he needs to win over to become Romney 45. He needs to show a picture of the future that is not about government filling gas tanks or paying mortgages, but hard working Americans taking care of their own business. The Obama bubble burst a long time ago, even for many of his supporters, and especially for those independents, youth and Blue Dog Democrats who believed he offered a new hope. Romney has only a little time to raise up new thinking in his campaign, and show why the economic bubble burst under the Republicans and George W. Bush, and why the economic solution bubble burst under the Democrats and Barack Obama. Romney has one of the things he needs, the physical presence, but he needs the second thing of right thinking if he is to get the third thing which will sweep him into the White House. It’s over to you Governor…. There is a truth that Obama will have to face in 2012. The majority of reasons students voted for Obama in 2008 are irrelevant or evaporated in 2012. He is not running for the historical title of first black President in 2012. He did not close Gitmo or bring our troops home, in fact he started a war in Libya. He did not provide free health insurance for all. Most of all, he has done nothing to guarantee all these sociology and philosophy graduates jobs when they graduate. John McCain was not inspiring for student voters. He was old, determined to win the wars America got into, white, male, loved America, and he was a Republican. Students have it drilled into their heads that this represents the great satan. Romney may not be the next great satan to the educational institution, but he certainly isn’t the hip symbol of progressive diversity that Obama was. However, Romney doesn’t need to win the student vote. He just needs Obama to lose it. 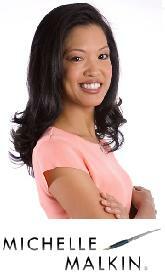 Obama is still popular with teachers, who by and large are enslaved to their unions and engrained socialism. But students now have a record to go on, and the novelty has worn off. The funny thing about students is that they tend to be idealistic purists as often as they are naively ignorant. The same student who would trade an A for a six pack might also skip the Avengers movie because certain details don’t conform to the comic books. Obama is certainly not everything American students hoped and dreamed about. In fact, students who are honest with themselves would realize Obama is nothing that they hoped and dreamed for. Obama has a special sort of hypocrisy that attentive students will sniff out. Obama might flash his environmental credentials to a crowd of students, but then in front of business owners he touts how oil extraction has increased under his Presidency even if he had nothing to do with it. He might tell students how he is bringing our troops home, but then he celebrates excursions into Pakistan to kill terrorists and Libya to do nation building. He may make overtones to the gay community and talk about equal rights, but look how fast his administration is throwing Biden under the bus for endorsing gay marriage. Perhaps in 2008, young students might be fooled. But now Obama has a record. Obama can’t even win on student loan rates since he demonstrated those take second place to his healthcare legacy. Republicans wrote a bill to keep student loan interest rates low, but Obama has opposed the bill since it is paid for by tapping a special fund created by his healthcare law. Obama would rather pay for it by borrowing more from China, which will cause interest rates to balloon even more in the long term. The difference between a student voter and nearly any other of Obama’s target groups is that as purists students will not vote for the lesser of two evils. Students won’t vote for Obama just to keep Romney out of office. They have been taught two things very well: follow your heart, and your vote doesn’t count. This frees them to vote for Rosie O’Donnell, write in their dorm-mate’s name, or skip the voting booth altogether to stay home and put those free morning after pills to good use. Can Obama afford to lose the student vote? Not if you believe the statisticians who put the student vote at 1/5th of the population. A significant decline in this voting block for Obama means Florida, Ohio, North Carolina, Virginia, and Colorado, even if they simply stay home. Romney needs to call Obama’s Bluffet…. We know that the Bluffet, sorry Buffet, rule is a motif for President’s class warfare, and more warning shots will be fired when Congress returns today from a two-week recess to a test vote on the rule, which would impose a minimum 30 percent tax rate on income over $1 million. The Bluffett tax targets wealthier Americans’ investments rather than salaries. Today is the day when this issue of class warfare kicks off for November in earnest, now that we know it will be Romney for the GOP and Congress gets to have a say on the matter. President Obama, who pays less tax than HIS secretary (he filed tax returns showing he paid an effective tax rate of 20.5 percent on income of about $800,000 in 2011) says the government needs the revenue from the Bluffett rule, estimated at $47 billion over 10 years, to cover “a broad range of goals.” He also says “This is not just about fairness.” Well, he got that right, it is very unfair, but not in the simplistic moralistic way he is peddling. He says “This is also about growth. It’s about being able to make the investments we need to strengthen our economy and create jobs. And it’s about whether we as a country are willing to pay for those investments.” In other words, robbing Peter to pay Paul. Fact is, do we really need government to do the investing, and where does the investment go? Into government black holes and deep pockets, rather than into businesses which create wealth. The Bluffet tax would not create wealth, it would merely enhance dependency. We would see a better rate of return on the $47 billion in business investment by the wealthy than we would from government. That is an awful lot of liquidity to take out of the markets, and I don’t see too many secretaries taking up the slack. Of course, keeper of the Treasury keys Tim Geithner was out pushing the rule on Sunday, “Just because Republicans oppose this does not mean it’s not the right thing to do and not the right thing to push for,” he told NBC’s “Meet the Press” program. Double negatives aside, we can say that just because Democrats think it is the right thing to do doesn’t mean it even begins to make sense. If we look at the paying side of this, we see the rich targeted for this end up paying more. Simple. But for what are they paying? Increased revenue means increased expenditure, and so the things for government to spend on expands to meet the expanded revenue. More programs, more dependency and less reward for effort. What does the payer get in return? They get little benefit, and the wealthier they are the less they need what they are paying for. Which means the sole purpose of the Bluffet rule is twofold, increased state powers and redistribution of wealth. 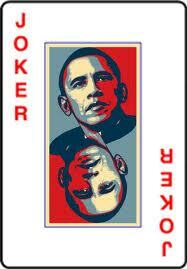 Conservatives who attack Romney or the rich for their wealth are playing with the same deck as Obama. Obama says, “If you make more than $1 million every year, you should pay at least the same percentage of your income in taxes as middle-class families do… Most Americans support this idea. We just need some Republican politicians to get on board with where the country is.” Of course, Obama doesn’t have to worry too much about his investments, because after leaving office, which cannot come soon enough, he will make a ton of cash for the remainder of his days. He doesn’t have too much to worry about…The rest of us do.